and notes its unique characteristics. 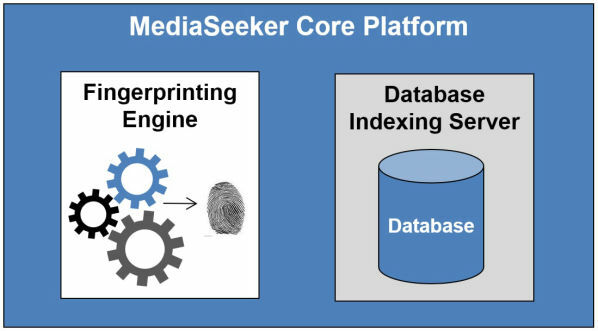 The extracted data are combined into a unique fingerprint file which represents that frame or series of frames throughout the production and archive process. the unique fingerprints in a database. stored in RAM and then can be queried / searched. or programmatically through API function calls. output may be delivered in a variety of formats. 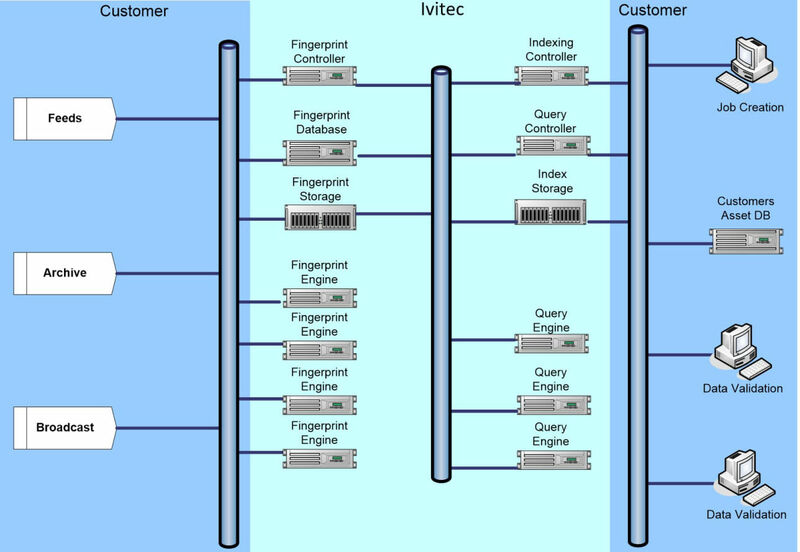 The ivitec fingerprinting process may happen in parallel or in serial and is easily integrated to other corporate systems. delivered in a variety of formats. 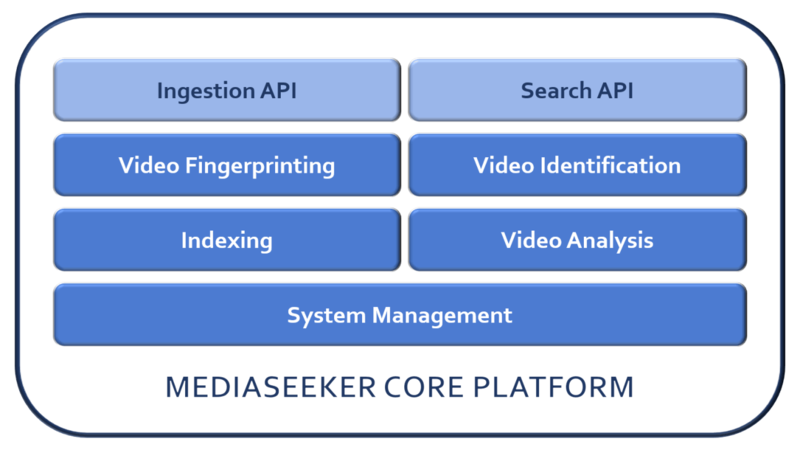 The ivitec MediaSeeker Core Platform (MCP) provides the basic functionality to extract finger-prints from media files, to manage a repository of fingerprints using catalogs, and to search for content in catalogs using query fingerprints. All of these functions are available to the user through a comprehensive Application Programming Interface (API). 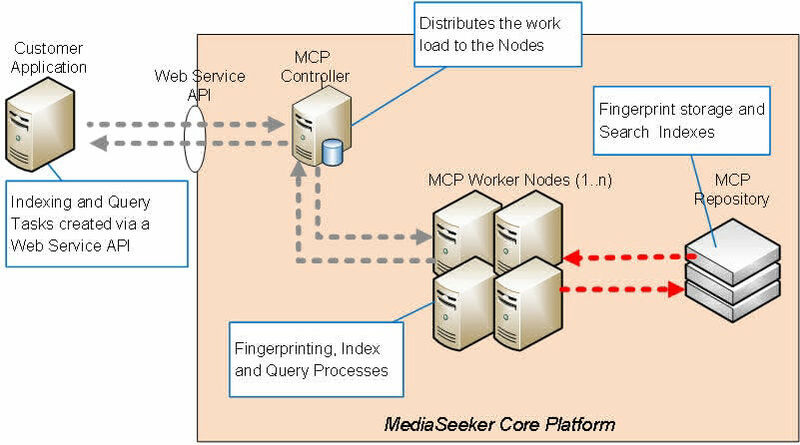 The MCP API is based on web services that can be used from different types of programming languages and development environments. Assuming basic knowledge concerning web services referencing and usage, this guide gives a quick outline on the MCP API and shows its usage in examples. 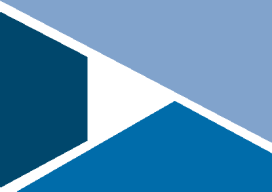 We will provide you sample code to seamlessly access the API.